Grill like Marshmallow Man! 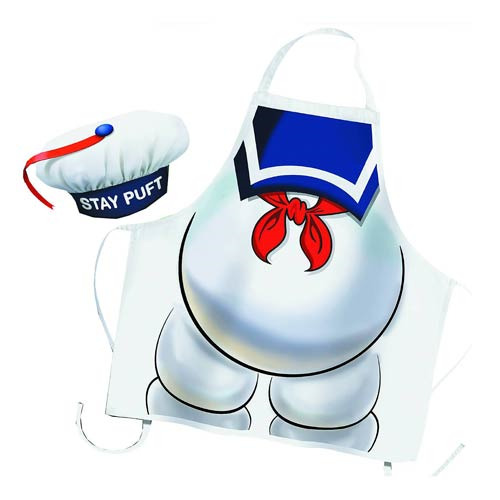 Whether you're cooking on the grill or rampaging through the streets of New York, you'll never look more stylish than when you're wearing your Ghostbusters Stay Puft Marshmallow Man Apron and Chef Hat. Make your backyard BBQ larger than life, decked out as everyone's favorite marshmallow mascot!